On the Worthing Court Facebook page, I recently asked what the biggest struggle is when it comes to decorating your home. There were several good answers and dilemmas that I think are common to many of us. One of those is, “How do I know when it’s time to redecorate?”. Blogs and Pinterest send a not-so-subtle message sometimes – that what we have isn’t current enough or isn’t decorated enough or isn’t good enough. Whatever. Trends seem to fluctuate on a whim and not very many of us can afford to constantly change our decor. Nor do we usually have the time and sometimes not the energy either. 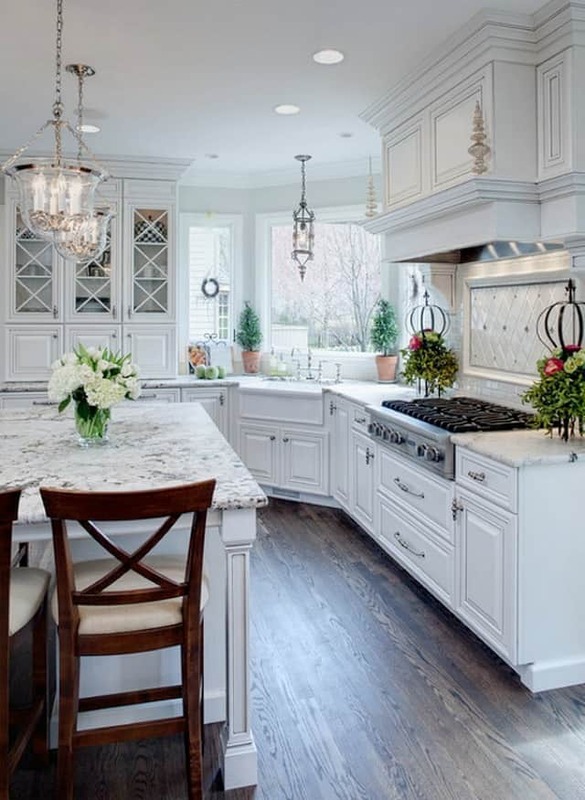 Design experts will tell you that you should update your interiors every seven years. Good grief – as slow as things seem to move around here, I’m doomed. Ha! #1 Am I still happy with my room/home? My guess is that if you’re feeling even vaguely dissatisfied or unsettled, it’s time to make some changes. #2 Does this room still fit my lifestyle and daily needs? It doesn’t matter how beautiful a room may be – if it no longer fits the lifestyle of the people who live there, it’s definitely time for a change. 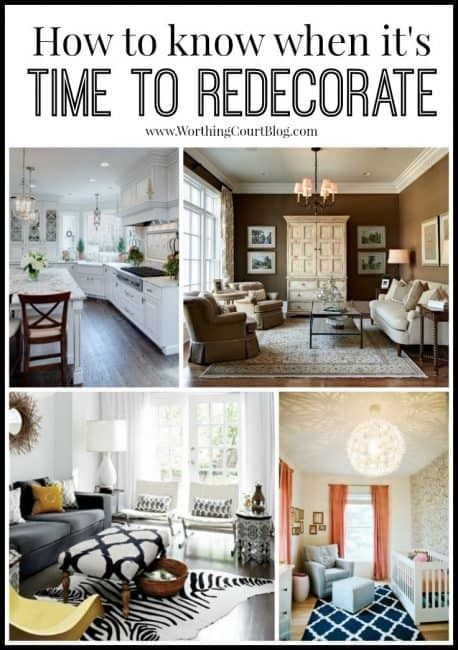 #3 Why do I have the desire to redecorate? Is it because I want to or is it because I think everyone else thinks that I should? Remember – your home is where YOU live, not your friends or neighbors. If you still aren’t sure or have trouble picturing a different look, try making some small and affordable, non-permanent changes. 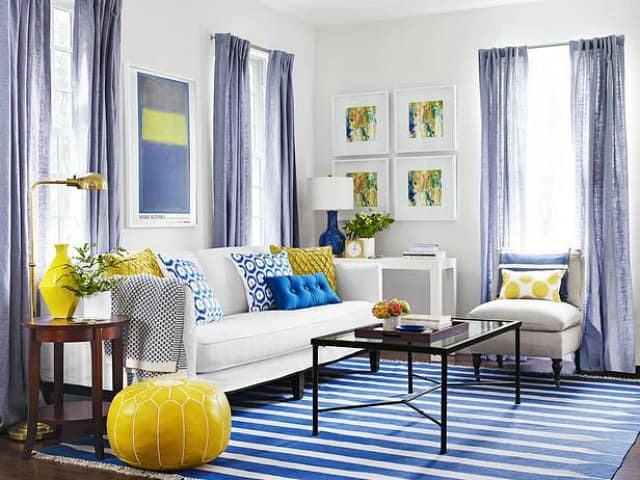 Bring in current fabrics in the form of pillows or even curtains. Swap out art or accessories for something trendier. Try changing a lamp or two. Add an area rug or change an existing one. Don’t forget – area rugs can be layered over wall-to-wall carpeting if you think you’re tired of that look. If you’re happy with the small changes that you’ve made, then you are likely well on your way to answering the question of knowing if the time has come to redecorate! There’s more! Click HERE for solutions to all sorts of Design Dilemmas. I’m actually redecorating now! I’ve started by doing some diy projects for personal touches and now my fiancé and I are searching for a new living room set…. what a hassle lol but it’s fun! Lots of great tips! I like to do small redecorating projects to suit my tastes. I’m currently in the midst of redoing one whole room though and it was way past time. Thanks for sharing your tips on Snickerdoodle Sunday. I loved decorating! these rooms are gorgeous! Thanks for linking up to Small Victories Sunday Link Up! Suzy, I just had to click on this post and WOW you with my comment: I’m sure my bedroom has the longest should-have-been-redecorated-ages-ago record. We’ve never moved in decades and it was the first room done. Fortunately, we still love the same furniture we did all those years ago when we invested in it “forever.” But the wallpaper had to come down, and the lighting, hinges, knobs, etc had to be changed. New wall art, bedding and window treatments have given us a brand-new room! Long, long, lonnnnng overdue! Great points! I do feel that my home is continually evolving and I never feel the need to “redecorate”. For example, I have always loved painted furniture and have used it for a many years. The basics always stay the same, the room I use a piece in may change, but by keeping things I love, the “redecorating” is limited to (usually) accessories. I love that you say we need to make our homes OURS. Every seven years! That is NOT going to happen in my world either, so I like to pick timeless larger purchases, and limit the trends to knick nicks and paint colors. Thank you for the good advice about asking myself the reason I want to do updates. I really appreciate all the pictures of the rooms. They are inspiring. All your rooms are beautiful, but I especially love your white kitchen. It’s so elegant! You’ve offered some great tips in regards to redecorating. Many thanks. I have been reading your blog for a few years . Enjoying it very much if not would have stop reading it. We do have very simiilar taste and I do appreciate that.